The OPTIMASS 6400 has been approved for custody transfers of both liquids and gases, making it ideal for process industries and specialist applications like LNG, CNG, or supercritical gases in terminal or storage/bunkering, along with custody transfer applications. 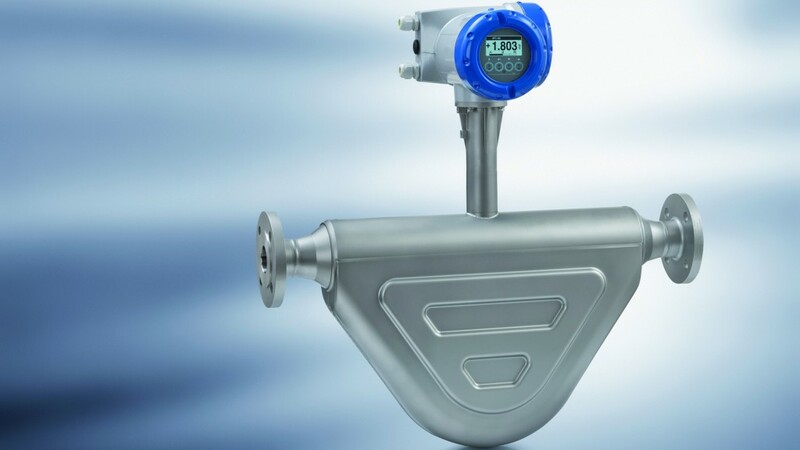 The OPTIMASS 6400 is the first Coriolis mass flowmeter in the world to feature advanced entrained gas management (EGM), with no loss of measurement with gas entrainment up to 100 percent of volume. Unlike other mass flowmeters, where relative movement between gas and fluid dampens the amplitude of the measuring tube and interferes with the electronics' capability to determine the actual resonant frequency, the OPTIMASS 6400 with EGM can follow the varying fluid conditions and adapt the tube driver oscillations accordingly. EGM continues to present an actual measured reading, together with an indication or configurable alarm that improves processes by identifying transient gas entrainments. Sizes range from 1/2 inch to 1 inch and the OPTIMASS 6400 is offered in stainless steel 316L, Hastelloy C22 and Duplex steel UNS S31803. Compliant to NAMUR standard installation lengths, the OPTIMASS 6400 operates in high temperatures up to 752°F (400°C), as well as cryogenic applications down to -328°F (-200°C). It also handles pressures up to 2900 psi (200 bar).